TOLANI LAKE, Ariz. -- She stood in brilliant white sunlight, scuffed the cracked skin of the vast, parched land and stared down at the very spot where the old woman told her she had been born, right there, in a hogan that is gone, beside a field where corn once grew. The woman her family called "the old aunt" reached up with a warm, dark hand and touched her high cheekbone. "You are so like your mother," Besbah Yazzie told her. Weeping in the baked expanse of the Navajo Reservation, they hugged. Yvette Silverman Melanson, stolen along with a twin brother from her Navajo family 43 years ago, raised rich, white and Jewish in Brooklyn, was finally home. 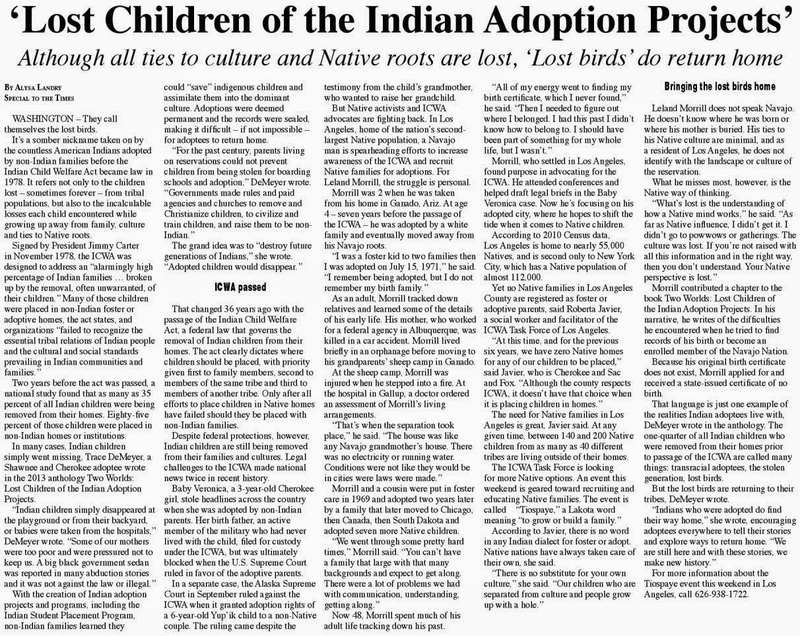 "One more of us is still out there and a whole lot more of the others," Melanson said in reference to her missing brother and thousands of other Native American children stolen from their families over the years and put on the black market for adoption. "This is not right. We have to find them. We have to find the boy." Navajo natives had come from across the reservation to welcome her home. In a hot gymnasium here, 60 miles northeast of Flagstaff, the Tolani Roadman -- Medicine Man -- had wept as he told her tale in the native tongue. Behind him, Yazzie Monroe, her father, brushed tears from his weathered cheeks. The old women of the tribe wore their finest turquoise and silver in her honor. Children danced in a colorful whirl of beads and feathers. "I don't know my own culture," Melanson told the gathering. "I am going to need your help in understanding. I am humbled. "Teach me, teach my children" she said. She stood amid the swirling talc-like dust of the reservation, a long way from the cloying green spring back in her Maine home and further still from the life she has lived thus far. As a child, there had been winters at a fine Miami hotel, summer camp in Pennsylvania. Later came long trips to Israel where she marched the length of that land and stood military guard at her kibbutz. After her adoptive parents had both died, there were two stints in the Navy and, later, marriage to a retired scallop diver named Dickie, with whom she now lives in Palmyra, Maine. But forever there had been the question, "Who am I?" She had always known she was adopted, but until three months ago that was all she knew. Then one night while exploring on her computer, she found out. On a national website, she saw that a Navajo family was looking for its lost twins. The trails of her search and theirs crossed in the Southwest. A piece of tattered and fading paper she possessed, bearing the names Yazzie Monroe and Betty Jackson, solved the puzzle. They were the mother and father of the large family that was looking for her. It was an unlikely trinity, ancient and new, that brought her home: the Internet, that scrap of paper, and the mysterious works of the Holy People on her reservation who had held ceremonies to help find her. This weekend, that family welcomes her home. She will stay here for two weeks along with her husband and daughters, Lori and Heather. Her mother died years ago, but her father was there to take her, looking almost fragile, into his great brown arms. Her seven brothers and sisters were there, as were numerous nieces, nephews, aunts and uncles, cousins and members of her clan. "We have always known she was around somewhere," said Nettie Rogers, her sister. "We want to thank the Holy People for bringing back our child, our daughter, to the center," Freddie Howard, a Tolani Lake official, told a crowd that streamed into a gymnasium for ceremonies welcoming Melanson and her family to her birthplace. She had come to the reservation east from Flagstaff, crossing through the Coconino National Forest. The Navajo lands began where the trees ended and a hot, dusty, vastness sprawled ahead. To the South were towns that bespoke stereotypical western violence: Two Guns, Two Arrows; and a place of real cataclysm, a giant crater created when a meteor smashed into the Earth 50,000 years ago. Across the reservation were the four sacred mountains of her tribe, dark, bruised buttes and colorful mesas that glimmered like poured sand art. "I've never seen mountains go straight up," she said as they shimmered in the white light of afternoon. 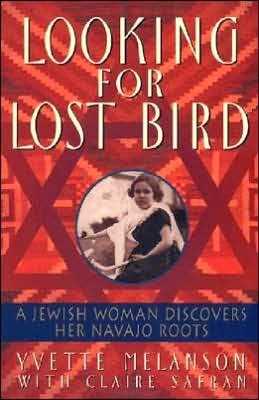 Her return came as efforts to find the so-called "lost birds" of the Navajo and other tribes across the country have intensified. 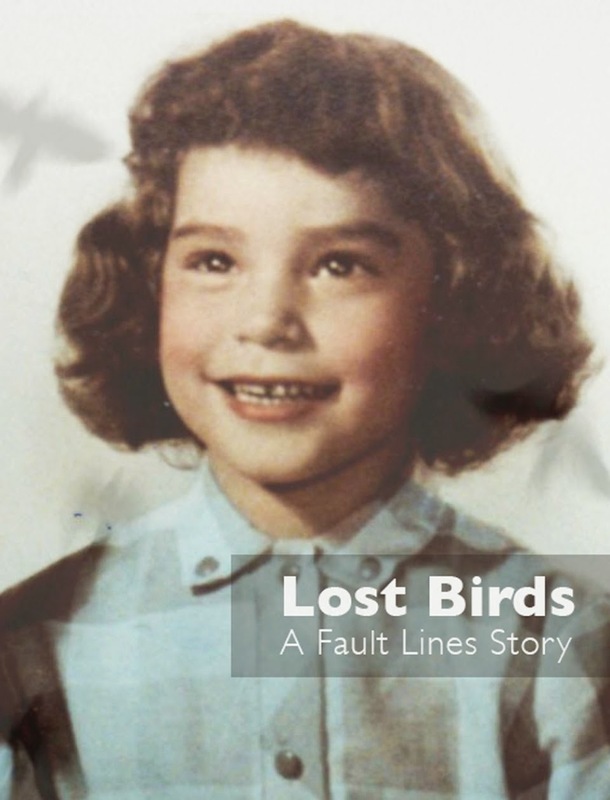 After Melanson's story made national headlines and television news last month, a website previously set up by the Lost Bird Society, founded by a Lakota woman named Marie Not Help Him, was peppered with inquiries. And it came as the tribes are fighting a bill in Congress that would make the adoption of Indian children by whites easier. 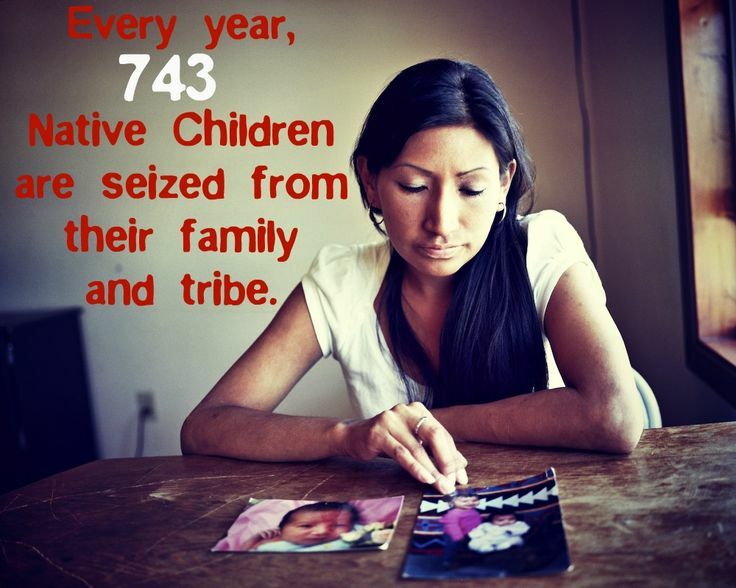 It would weaken a federal law passed in 1978 that requires that Indian children removed from their homes be placed with relatives or other Native families. In welcoming Yvette home, Navajo leaders rose to speak in defense of their children. "We are more than dances, turquoise and rugs," Genevieve Jackson said in a plea that the outside world understand what is happening to Native children. 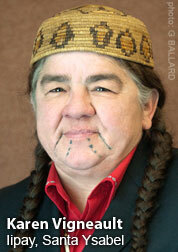 "Yvette's story is the Navajo story," Delores Grey Eyes added. Melanson's father presented her with a Navajo wedding basket symbolizing Mother Earth, Father Sky and a Navajo people planted in harmony between. He said, as another sister, Laura Chee, interpreted, that he was "happy to have his daughter home, and now he wants to know if they can get the boy back." "We must let people know what has happened, what is happening through adoptions," Melanson said, clutching the Navajo blanket the tribe had given her. "My family, my friends back home, were outraged. They had no idea something like this was happening." "The taking of the children has to be stopped," she said. Later, her family took her to her birthsite and told her how she had been taken. She'd been born in a hogan and was sickly. A public health nurse came and took both her and her brother to the hospital at Winslow. The family never saw them again. "Your mother would come to the road here," Desbah Yazzie told her, "and she would hitchhike into Winslow, looking for her children. 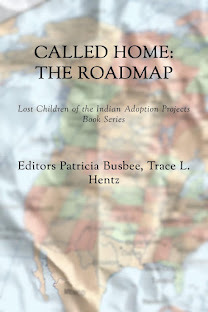 She never found you, and later all they told her was that the children had been adopted."